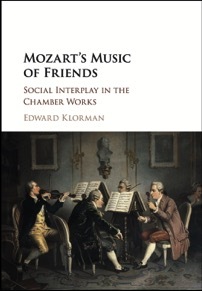 Learn about my book Mozart’s Music of Friends. Preview it on Google Books. 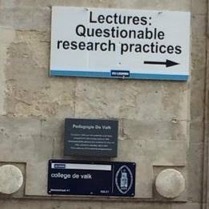 Visit me on Academia.edu for a complete list of my publications. “An Afternoon at Skittles: On Playing Mozart’s ‘Kegelstatt’ Trio. Part I: A Trio for Signora Dinimininimi, Nàtschibinìtschibi, and Pùnkitititi.” Journal of the American Viola Society 32, no. 1 (Spring 2016): 19–27. “An Afternoon at Skittles: On Playing Mozart’s ‘Kegelstatt’ Trio. Part II: Analyzing and Performing Musical Play.” Journal of the American Viola Society 32, no. 2 (Summer 2016): 31–41. ”The First Professional String Quartet? Re-Examining an Account Attributed to Giuseppe Maria Cambini.” Notes 71, no. 4 (June 2015): 629–43. ”Multiple Agency in Mozart’s Chamber Music.” SMT-V 1.3 (October 2015). “On the Slow Movement of Brahms’s F-Minor Clarinet Sonata: Thirds-Cycles, Diatonie, and Todesangst.” Gamut 7, no. 1 (2014): 126–49.